Private waterfront home perched on a 5 acre peninsula! This tranquil property is ready for summer! Custom 3 bedroom home with extensive entertaining area overlooking the water. Pool, Cabana, hot tub, putting green, boat dock, and plenty of breathtaking sunsets! The perfect place to get away from everything and enjoy the lake! Owner needs at least 1 hour notice for showings. This is a must see property located adjacent to the highly acclaimed barton creek lakeside. No HOA and low taxes! Lake Travis paradise in a gated community with a private waterfront park and lake access. Cute home w/ fresh paint and flooring throughout. 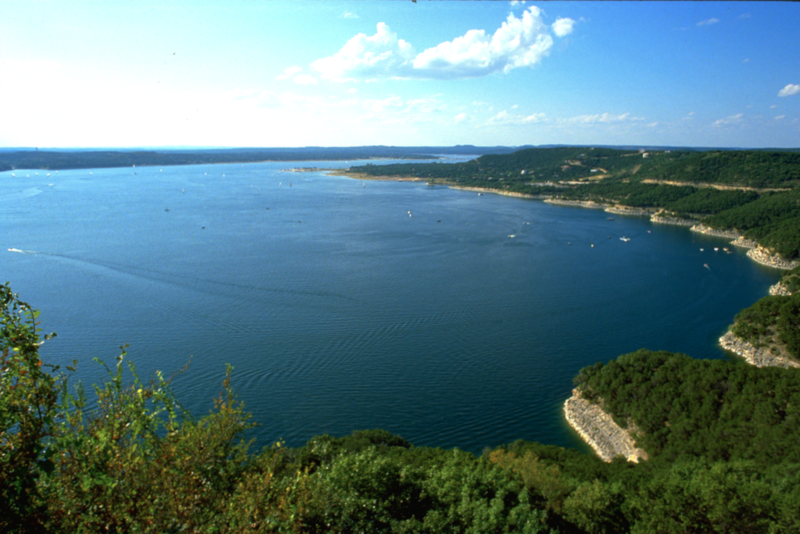 Enjoy the solitude of upper Lake Travis with an easy drive to Marble Falls or Bee Cave/Lakeway for all your shopping needs. NEW waterfront Lake Travis Condo! This Victoria Falls floor plan features floor-to-ceiling windows with modern, luxury finishes throughout, and a balcony overlooking the pool and lake views. Situated on 14 acres of hill country Lake Travis land there is an abundance of trees and lush landscaping that create a luxury park-like setting. Pool, cabana, and grill for entertaining. All residence have access to Marina. Inquire about a boat slip options. Available for move-in-now! Lake living at it's best! Relax on the deck and soak in views of the main basin of Lake Travis. This home is perfect for a primary residence or weekend retreat. Lake access is provided through the private waterfront, 35-acre gated HOA park and offers boat storage areas, deep water boat ramps, day dock, hike and bike trails, playground, frisbee golf and picnic areas. Deed restrictions, architectural guidelines and neighborhood info can be found at tlpoa.org Lake Travis ISD schools! NEW waterfront Lake Travis Condo! This Grand Falls floor plan features floor-to-ceiling windows with modern, luxury finishes throughout, and a balcony overlooking the pool and lake views. Situated on 14 acres of hill country Lake Travis land there is an abundance of trees and lush landscaping that create a luxury park-like setting. Pool, cabana, and grill for entertaining. All residence have access to Marina. Inquire about a boat slip options. Available for move-in-now! Enjoy waterfront living to the fullest in this privately located home nestled on over 2 acres of park-like tranquility. Take in the incredible water views from the 2nd story deck, or cuddle up by the fireplace w/a good book in the cozy family rm w/a wall of windows.Built on an outer, deeper bend of the Pedernales River, this 3BR is perfect for weekend getaways. Private fenced yard w/electric security gate, large covered patio & 2-car attached garage + detached 1-car/boat parking. Boat dock conveys w/sale. *****PLEASE contact listing agent to schedule appointment 24hrs in advance and between 10-2 (animals on property) Thank you! ***** Deeded access to the nearby waterfront! Have your own fishing getaway with this quaint and unique property with lots of potential. Build your dream two-story home with a deck for panoramic lake views. Work shed adjacent to home; creating additional living space or man cave. Enjoy local Jonestown dining and Jones Brothers Park recreational activities!